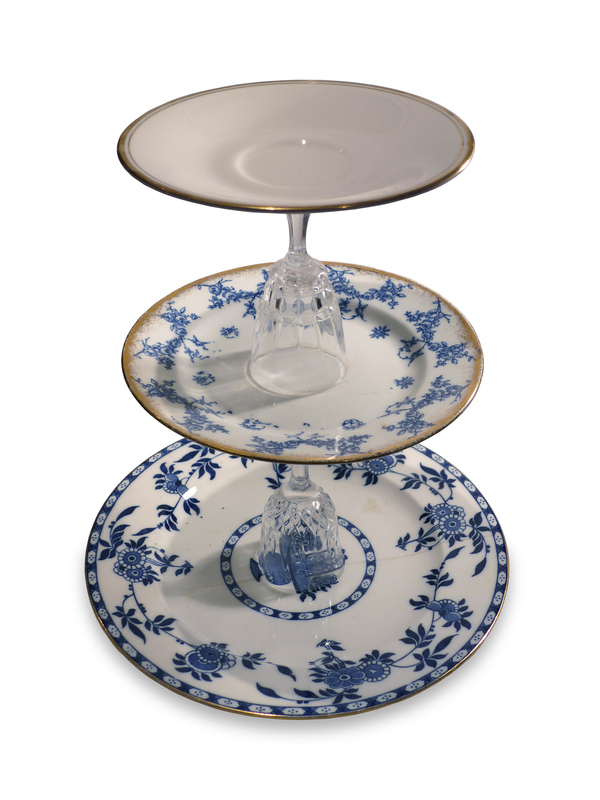 The cake stands are made from vintage china with a variety of old wine and sherry glasses. Cariad (which means “love” in Welsh) started by chance with some mismatch vintage china spotted in Paris, I made one for a friend and kept getting requests for more…a stall in Primrose Hill followed and it took off from there. I am now selling them at local markets in and around North London, but I am also taking a steady stream of orders via email for commissions and they are also proving popular for weddings as centrepieces. I collect the china on my travels, from trips around London markets on Pierre (my beloved old school french racing bike) or the flea markets in Paris. If you’re interested in a cake stand, a commission or just want to be added to the mailing list please drop me a line on cariadcakestands@live.co.uk. I do free delivery inside zones 1 and 2 in London.